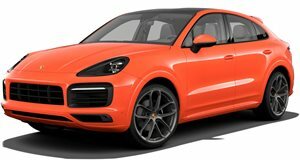 Porsche has entered the swoopy SUV market with the Cayenne Coupe, Stuttgart’s answer to the BMW X6 and Mercedes-Benz GLE. While coupe-SUVs tend to sacrifice headroom and practicality for style and a sharper design, the Cayenne Coupe has solved this by having rear passengers sit 1.18 inches lower than in the standard Cayenne SUV. The lowered silhouette, courtesy of a 0.78-inch lower roof edge and shallower A-pillars and front windshield, do little to affect rear headroom. Other exterior mods include redesigned rear doors, a new adaptive rear spoiler that extends by 5.3 inches when the driver hits 56 mph and a large panoramic fixed glass roof. 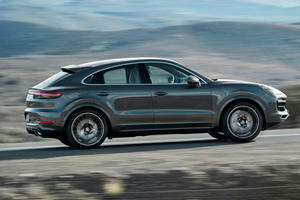 For the first time on a Cayenne, Porsche is offering an optional carbon-fiber roof on the Cayenne Coupe. 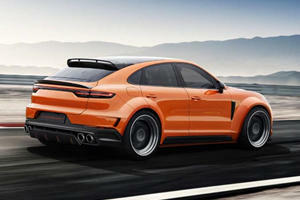 Power comes from a 3.0-liter turbocharged V6 rated at 335 hp and 332 lb-ft of torque, for a 5.7-second 0-62 mph time, while the Cayenne Turbo Coupe arrives with a 4.0-liter twin-turbo V8. The range-topper delivers 541 hp and 567 lb-ft of torque for a blistering 3.7-second 0-62 mph time and 178 mph top speed. 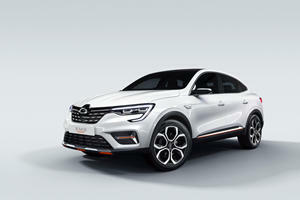 Priced at around $10,000 more than the Cayenne, the Cayenne Coupe starts from $75,300 and the Cayenne Turbo Coupe from $130,100 with deliveries to start in the fall. The smartphone maker is no one-trick pony.